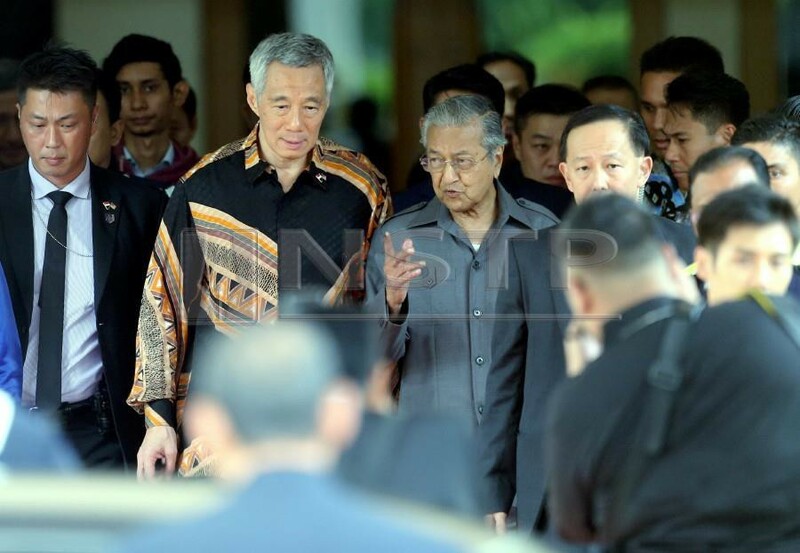 KUALA LUMPUR: Prime Minister Tun Dr Mahathir Mohamad today reiterated his characterisation of the relationship between Malaysia and Singapore as akin to that of “twins”. “As with most countries, there will be differences and there will be competition between us. However, it will help us grow even faster,” he posted on his Facebook page today. In his post, Dr Mahathir also thanked his Singapore counterpart Lee Hsien Loong for receiving him at the Asean Summit last month. The prime minister’s remarks come amidst rising tension between the two neighbouring countries over territory. In a statement today, Singapore Minister for Transport Khaw Boon Wan claimed that Malaysian government vessels have been continually intruding into the republic’s territorial waters off Tuas, with 14 intrusions so far. He also said Singapore has decided to extend the Singapore Port Limits off Tuas via the Maritime and Port Authority of Singapore (Port Limits) (Amendment) Notification 2018.